Proper tower construction starts with a solid, correctly aligned base. 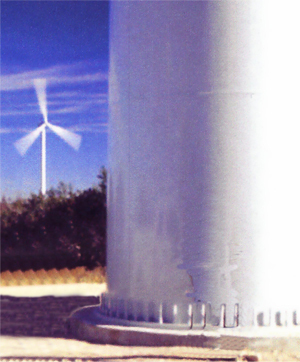 A poorly constructed base could mean catastrophic failure of the wind turbine. Towers are constantly subjected to variable dynamic stresses. ALIGNIT precision grouts assure 100% contact and correct alignment of the tower base initially and over time. Chaffing and deterioration of the tower flange seat is not likely, as 100% contact is assured.